One of the first neighborhoods in Austin to start the ‘rehab’ trend in the 1970s is the historic and quirky neighborhood of Clarksville in Old West Austin. 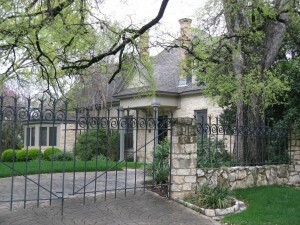 Located in the west-central part of Austin’s Urban Core, the boundaries for the area are Enfield Road on the north, Lamar Boulevard on the east, Town Lake on the south, Mopac on the west. 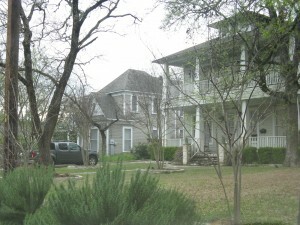 While most people think of Clarksville and Old West Austin as one and the same, Clarksville is actually a small part of the larger Old West Austin section of the city. Built on the bluffs overlooking Lamar Boulevard and downtown Austin, this eclectic area is home to artists, students, professionals, and young families. 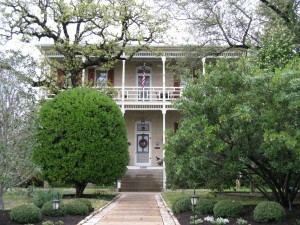 The land that is occupied by Clarksville and Old West Austin was originally owned by Governor Elisha Pease (1812-1883). Governor Pease deeded this section of his plantation to his former slaves after emancipation in hopes that they would remain close to his property and be available for service. 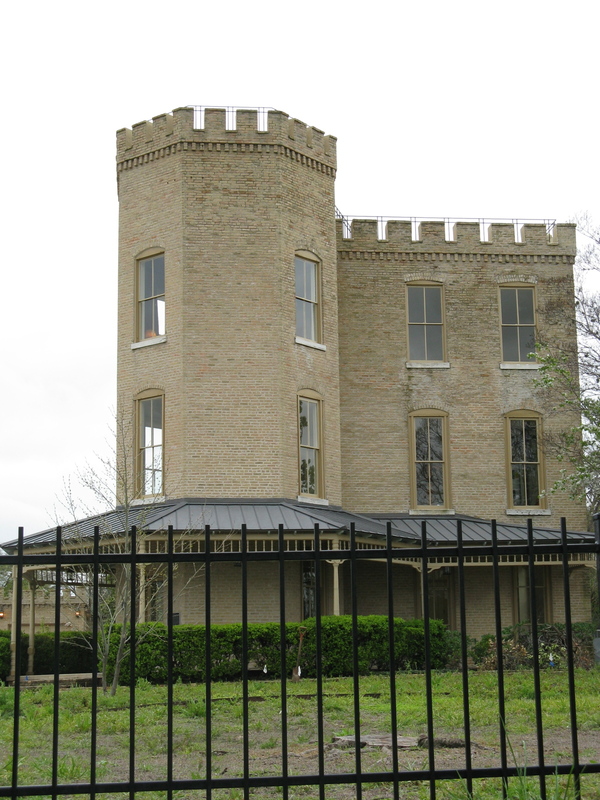 Though his hopes weren’t realized, the land did was eventually owned by Austin mayor Nathan Shelley who in 1871 sold 2 acres of the property to freedman, Charles Clark. Clark subdivided the land among other freedmen and Clarksville was born. 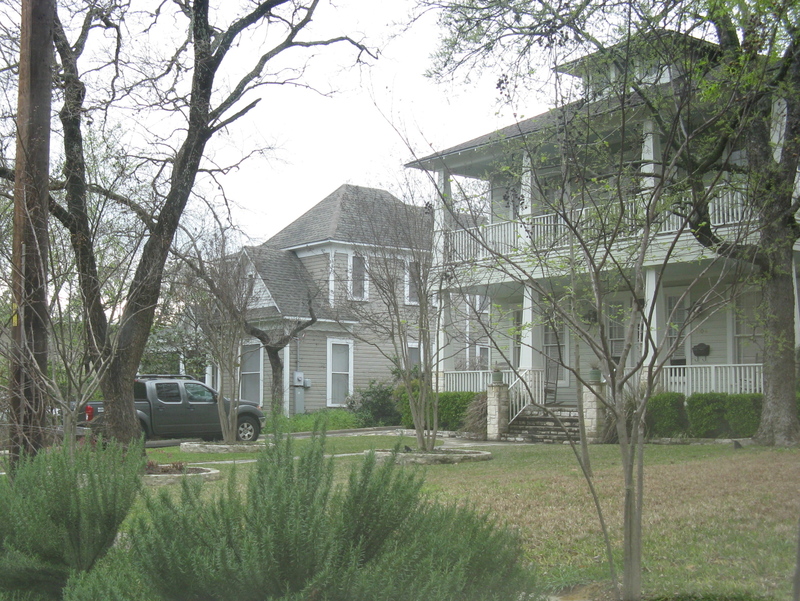 Realizing the value of the property, city planners as early as 1918 began to put pressure on the black families to move to East Austin so that the land could be developed for white middle-class families. It wasn’t until 1975 that the Texas Historical Commission designated Clarksville a historical district and the city completed paving the dirt roads in the neighborhood. 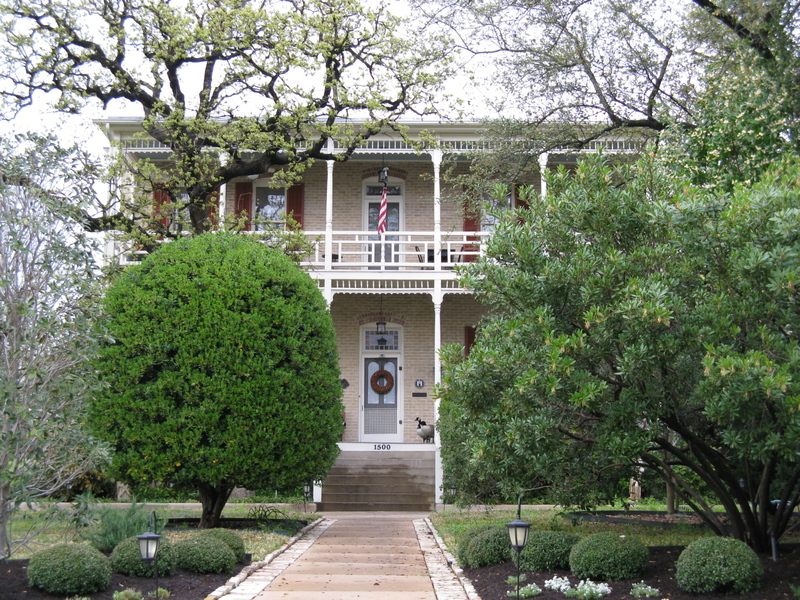 There are a wealth of other historical properties within the boundaries of Old West Austin including: the Texas Military Institute (1869), Tips Iron and Steel, (1909), Flower Hill or the Smoot Home at 1316 W. 6th (1870s), and Las Ventanas as 602 Harthan. One of the few remaining Moonlight Towers stands at the corner of 12th and Blanco, and the 600- year old Treaty Oak is at Baylor between 5th and 6th streets. Clarksville homes come in all sizes and styles, but the classic bungalow is what comes to mind for most people. Along West 9th Street, stately mansions line the sidewalks as they have for the past 100 years, and Victorian homes with their elaborate porches are sprinkled among the more traditional cottages and bungalows. 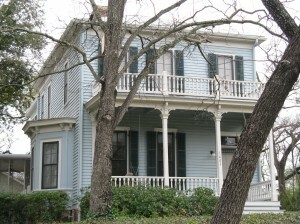 But everyone seems to have a relaxing porch and that is one of the features that makes Clarksville just oozing with that homespun, turn of the century charm! Prices range from $250K for a fixer-upper to around $1M for the larger, remodeled historic homes and make no mistake, most, if not all, are historic. 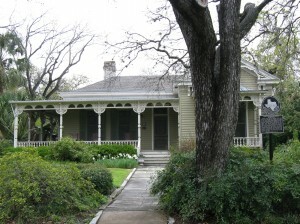 So step back a dozen decades and enjoy the simple life in Clarksville and Old West Austin. So much to do, so little time! Well, actually there should be plenty of time since you don’t have to deal with traffic and parking. All you have to do is walk or bike out your front door and there are plenty of things to see, do, eat, drink! The West 6th Street Arts district runs through the middle of this neighborhood and once a month, the businesses host open houses for an evening stroll and perhaps a little shopping. Restaurants abound and include Jeffery’s, Z Tejas Grill, Cipollina, Wink, Swedish Hill Bakery, and Café Josie. 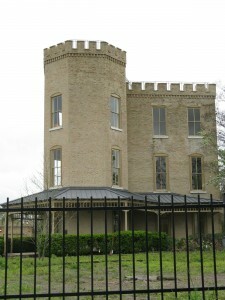 West Austin Park has long been a place for the residents of the neighborhood to swim or enjoy a nice day in the park. And did I mention that you are only ‘minutes’ from downtown? 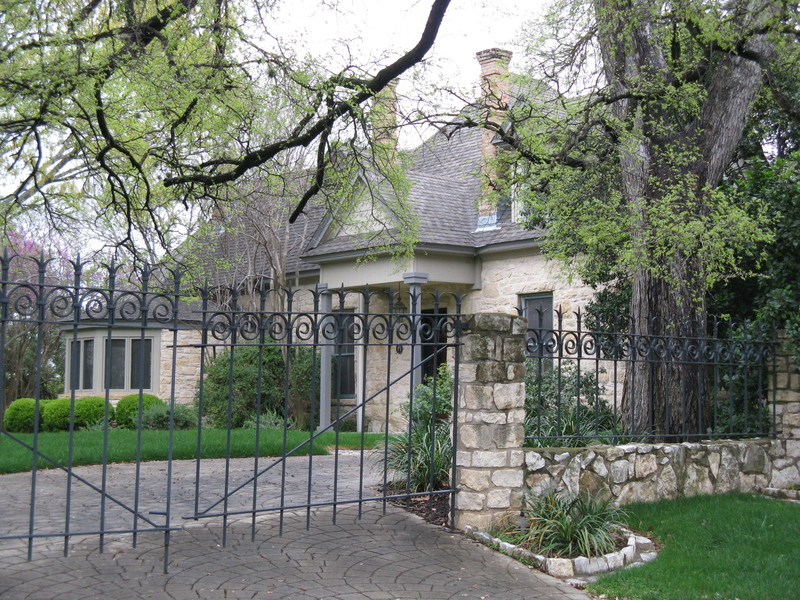 You really couldn’t get much closer unless you were living downtown in a condo and you still have the charm of a historic neighborhood with yards, parking at your doorstep and the satisfaction of living in one of Austin’s unique communities!